You need help with BackWPup, have a question, want to report a bug or request a new feature? We gladly help you and appreciate it if you help us to improve our product. We have two places for the support, depending on which version you are using: BackWPup Pro or BackWPup Free. 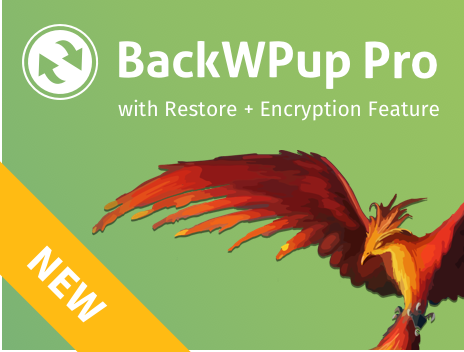 If you have purchased BackWPup Pro, you can use our individual Premium Support. The development team is ready to offer you help and advice with any problem you may encounter. You can find the Premium Support under backwpup.com/support. Once you have logged into your account, you can open a support ticket. If you don’t have an account there yet, please purchase a BackWPup licence. Please do understand that we can not offer free Premium Support. If you have questions before purchasing a licence, please use our contact form. If you are using the Free Version of BackWPup, please post your support request in the plugin forum on wordpress.org. Our general support takes place normally on Tuesdays and Thursdays for 2 hours.